Hot meals being delivered from the sky are the natural end-game of this on-demand food delivery phenomenon. With this week’s news from The Wall Street Journal that UberEats plans to launch foody drones by 2021, and our own Nick Upton’s story on unmanned drone deliveries happening up in Canada, it’s clear that the uber-future is almost here—ready or not. The flurry of drone talk started with a job post that Uber later took down, according to WSJ, advertising an available job as operations manager to handle delivery drones. There’s no better way to avoid the troubles of geography, traffic, crowded streets and phone-obsessed pedestrians than taking to the skies. The costs and challenges aren’t going anywhere, but investor cash and a drive to beat competitors will continue supporting these delivery providers to keep working on drones until the nut is cracked. That now-deleted job posting reportedly was under the name of UberExpress, with the WSJ reporting that it hopes to have functional drones next year with a launch in multiple markets by 2021. 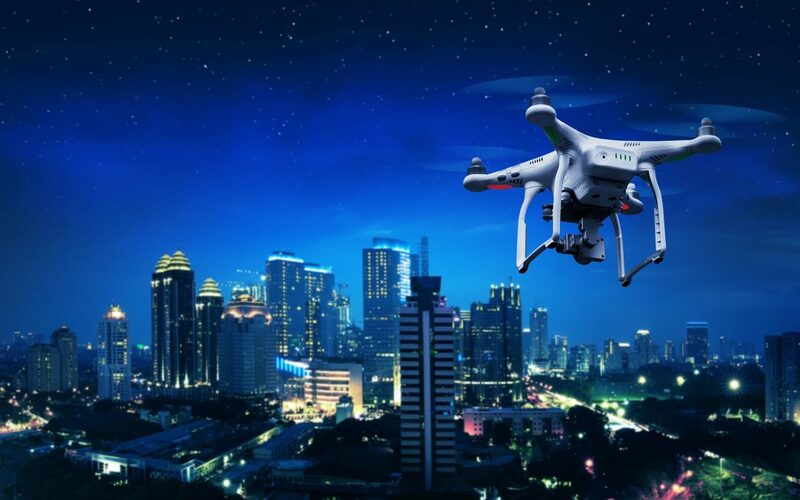 The industry’s interest in drones is no secret, nor is the interest of Uber CEO Dara Khosrowshahi, who mentioned them at the Uber Elevate Summit back in May. However far out this future remains, there’s no getting around the appeal of third-party delivery providers improving their margins to the point of charging restaurants a lower fee. There’s also no avoiding the appeal for restaurants looking to reach customers faster, cheaper and without the worries of potholes, aimless drivers or anyone tampering with food and its presentation. As for the consumers, there’s nothing cooler than opening your door to a drone that has brought you dinner, some snacks or a case of beer, for example. I’m ready, I’m waiting and being able to avoid even more human contact through food delivery is truly the holy grail. Hearing that such futurism may even pencil out in rural areas is even more exciting. I’ve always said I wanted an isolated compound in the woods, but I wouldn’t actually live this hermetic lifestyle unless quality restaurant delivery was part of the equation. *Drone image by Shawn Helms via YouTube.